Are you familiar with management guru Peter Drucker‘s famous quote? Here’s my version: measurement motivates. That is, the simple act of paying attention to something inevitably leads to improvement in those areas – and often without noticeable effort. I love this story that Tim Ferriss, author of The Four-Hour Workweek and himself a tracking fiend, tells about Phil Libin, the CEO of Evernote. Guess what: Phil didn’t consciously try to improve his diet or get more exercise. But the subtle effect of awareness on thousands of tiny subconscious decisions led to him losing between 30 and 50 pounds. When he was a resident, he began counting how often surgical patients ended up with an instrument or sponge forgotten inside them. Although it didn’t happen often – about one in fifteen thousand operations (phew!) – when it did, there were serious ramifications. With a little more sophisticated tracking, Atul found that the mishaps occurred predominantly in patients undergoing emergency operations that revealed the unexpected (such as cancer when the surgeon had anticipated only appendicitis). This led him to work with some colleagues to come up with a device that could automate the tracking of sponges and instruments. 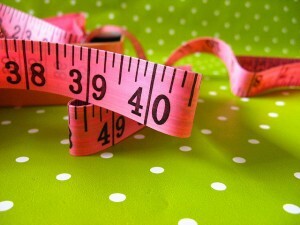 It’s also important to measure something important — to you. For businesses, it may not necessarily be the bottom line. In Start With Why, Simon Sinek shares the example of Bridgeport Financial founder Christina Harbridge, who wanted to create a different kind of collections agency. Rather than using the typical harassing tactics, she believed that people would respond positively when treated with respect and integrity. So instead of incenting employees according to the amount of money they collected, she rewarded them based on the number of thank-you notes they sent out. Ultimately, she created a culture that valued and listened to individuals – despite the fact that they owed money. Productivity: How often do your team meetings start/end on time? Work-life balance: How often do you leave the office by 6:00 pm? Effectiveness: How many cold calls does it take to make an appointment? Health: How many nights do you sleep eight hours or more? Finances: How much do you spend on legal services? Thanks for a very thought provoking post. I love your examples and couldn’t agree more. Awareness is the first step and key to changing anything and measurement is the proof to keep it going! Thanks, Lisa! Interesting, isn’t it, how such a simple shift can be the catalyst for dramatic change over time. This is great info. I think it’s crucial to measure results. Thanks for the great content.